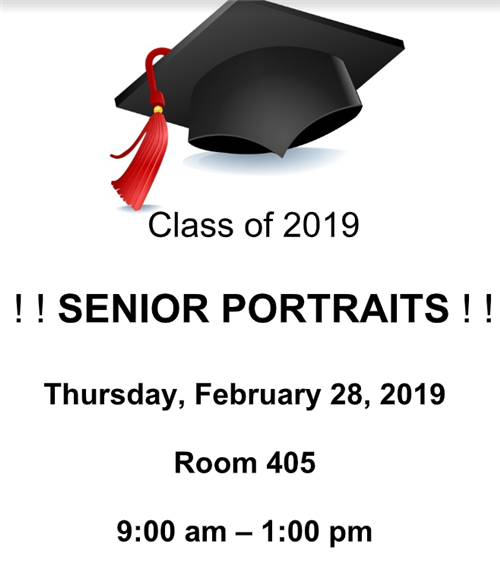 Senior Portraits will be taken on February 28th. STUDENTS MUST HAVE AN APPOINTMENT! Make an appointment with Ms. Navarro in the front office to ensure your spot. There is no sitting fee. Information on cost of printed photos can be found with Ms. Navarro. Check out our WBL website for more info and how to sign up! Please help us by donating on GoFundMe! The students at Rudsdale Newcomer high school are recently arrived immigrants who have fled their home countries because of violence and instability. They are all between 16-21 years old and are navigating systems in the U.S. for the first time as adolescents. A majority of them are working to support themselves and their families while also pursuing a high school diploma. Due to their migration experiences, our students have faced a lot of trauma but are also trying to be adolescents in high school. If there is one word we could use to describe our students it would be resilient. They can barely be considered adults but have to learn how to speak English, navigate systems in the U.S. without parents, and work up to 30 hours a week all at the same time. They have suffered many hardships but also bring an incredible energy to our community and to our school. This fundraiser is dedicated to bringing a program called Soccer Without Borders to our school. The Soccer Without Borders mission is to use soccer as a vehicle for positive change, providing under-served youth with a toolkit to overcome obstacles to growth, inclusion, and personal success. The Soccer Without Borders program model is evidence-based and designed to support participants to advance academically, gain social capital, develop english language skills, and engage their surrounding communities. In 2016, 94% of Soccer Without Border 12th grade participants graduated from High School and 83% went on to a 2 or 4 year college/university. As an alternative education program in Oakland serving immigrants and refugees, Rudsdale Newcomer Academy would really benefit from bringing Soccer Without Borders to our campus and to our students. The money we are fundraising will be used to fund a coach and also coordinate games with outside teams throughout the school year. We believe that a partnership with Soccer Without Borders will help build a stronger community at our school and increase attendance and retention rates for our students. You can read more about how Soccer Without Borders supports the local community here. Thank you so much for any support you can give! Every little bit counts and will be super helpful to our students. Graduation will be held on December 19th at 2pm in our Multi-Purpose Room at our site. Each semester, we hold a Project Exhibition so students can share the hard work they have been doing in their classes. All students, parents, and community members are welcome to join! Welcome back! We are excited to get started with this school year! First thing we need to do is to attend orientation! This is a vital and required event where families and students will receive important information and fill out paperwork. Please make sure that you are on time! 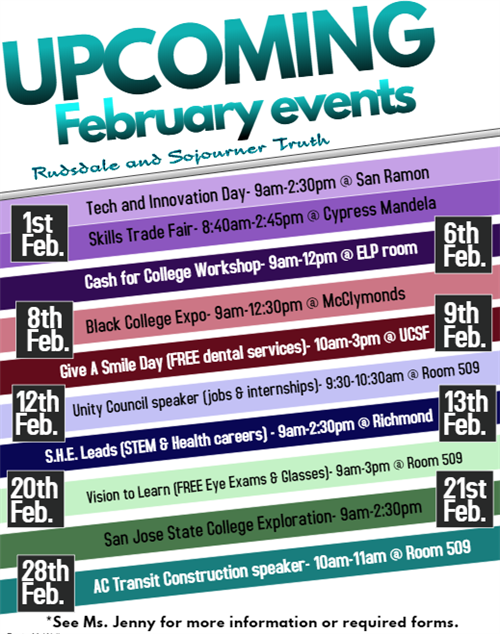 We'll inform you about our rotating block schedule, after school programs, internships, and more! We have two separate orientations, one for returning students and another for new students. Both orientations are on August 8th in the school cafeteria. Welcome to Rudsdale High School, home of the Panthers! We are a technology pathway dedicated to helping students graduate on time and achieve their goals. We believe in serving all needs of the student in order to ensure success. Thank you for visiting!